In Tacoma, if you fail to stop and exchange personal information after a car crash you can be charged with a hit and run crime. If convicted of hit and run, you will incur serious punishments that could have a devastating impact on your life. In Washington, the severity of a hit and run crime is gauged by reviewing the details of the accident and the actions of the accused. If you crashed into an unattended parked vehicle and then fled the scene, you will likely be charged with a misdemeanor. If you flee the scene of an accident where injuries were involved, you could be charged with a Class C felony, and may face up to five years of prison time and fines totaling $10,000. If another driver or passenger was killed in an accident from which you fled, the fines and prison time could double. Don't take any chances with this serious crime. 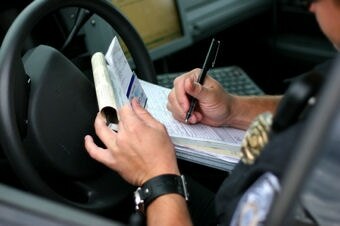 Contact our Tacoma hit and run lawyers and address the situation head on. At the Law Office of Jason S. Newcombe, we understand that there are many different circumstances that could motivate a Tacoma driver to contact a hit and run lawyer. You may have already been charged with a serious crime in the past, or you may be willing to admit your role in the incident but are hoping that some of the penalties you face can be reduced. Whatever your circumstances, we will work diligently to resolve your case. Contact one of our qualified attorneys as quickly as you can, so that we can get started on your defense. Hit and run crimes happen are far more common than many people realize, and they happen for a variety of reasons. Sometimes Tacoma motorists have no intention of breaking the law, but leave the scene of an accident without taking the necessary legal steps. After discovering their error, they want to go to the authorities immediately and explain the situation, which is a morally responsible response. If you are in a similar situation, we recommend retaining legal counsel before approaching the authorities, ensuring that your legal rights will be safeguarded. Sometimes a driver may panic after an accident and leave the scene because of its emotionally charged nature. When their head eventually clears, they realize they acted improperly and want to make the situation right. It is important to speak with one of our Tacoma hit and run attorneys before reaching out to the authorities, otherwise something you say could be used as evidence to prosecute you. Automobile crashes are traumatic experiences filled with chaos and confusion, making it hard for an eyewitnesses to accurately identify the person who committed the crime. This could lead to a false accusation against someone who is entirely innocent. Don't let any of these tragic situations derail your life. Contact our team of our Tacoma hit and run lawyers for a private consultation, and get help from a team of experienced attorneys who will protect your legal rights at all times.